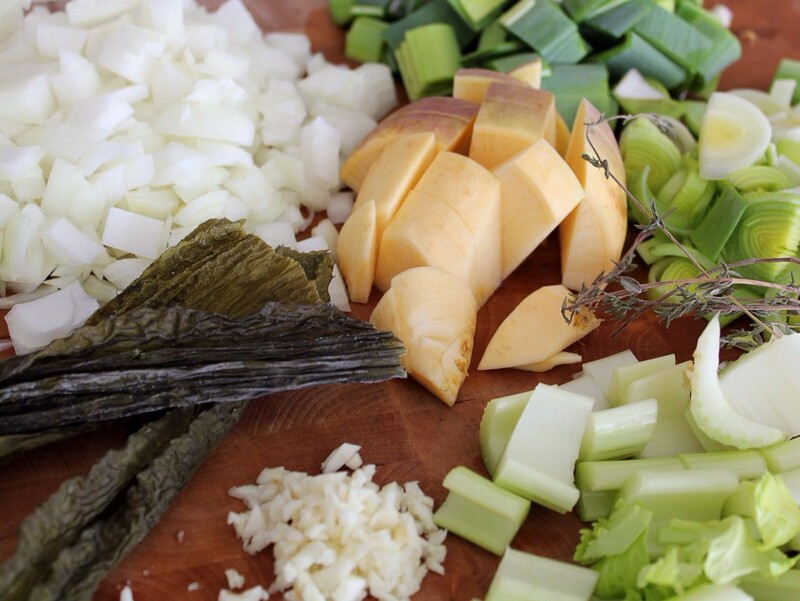 Make your soup exactly how you normally would, sweat the aromatics on a medium/low heat in extra virgin coconut oil (in this case, leek, onion, garlic, fresh thyme) add the non-aromatic veg (rutabaga), and liquid (homemade veg stock or filtered water) and sea veg (kombu). Let it lightly simmer until everybody has made friends, and the rutabaga is cooked through. I added frozen peas, which add to the green party and are sweet and full of fiber and protein. Use fresh when in season, but frozen are consistent, available and affordable. Peasant-chic, if you will. Here is the old familiar in an unfamiliar world part. 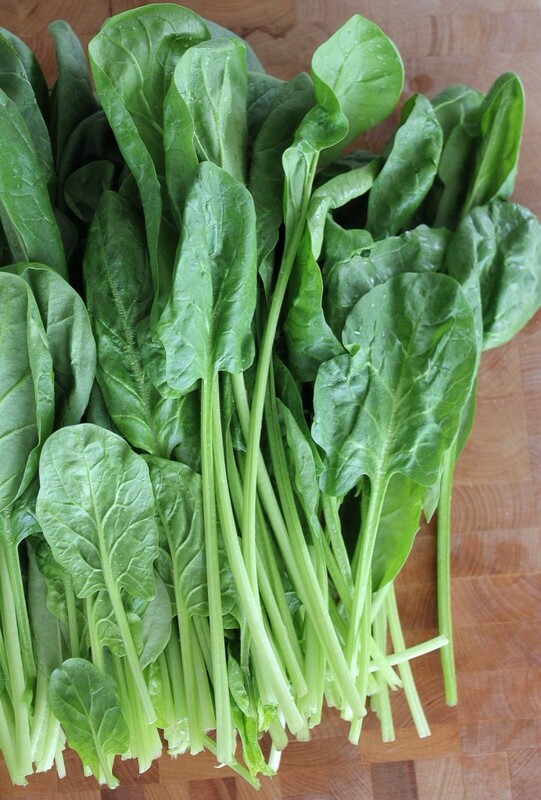 CLean and chop up your greens and add them to your blender. Pour your soup over top -if I was feeling responsible, I would tell you to wait for the soup to cool before blending, but waiting is the worst. Just don’t fill it too full, pulse it until it gets going, drape a kitchen towel over top, and of course, be careful. And then marvel at the greeeeeeen! 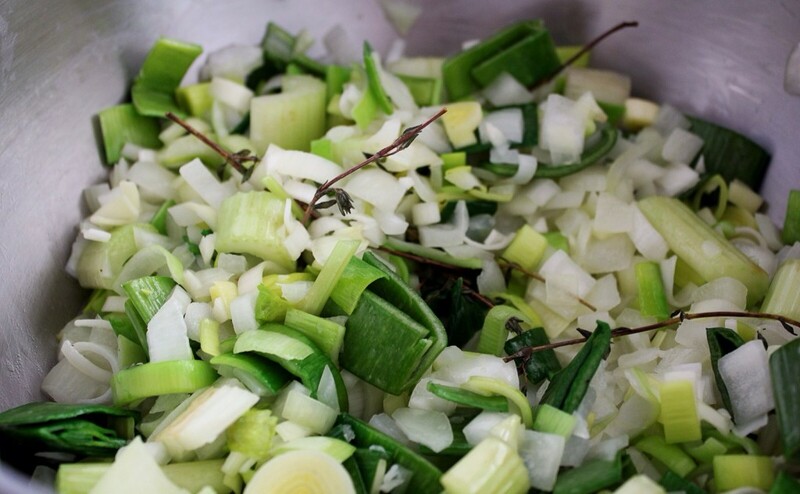 Once you blend the greens in, the soup’s shelf life is shortened. Not for food safe reasons (unless you blended cold greens into cold soup, in which case it just needs a simmer to cook the greens and will then last longer) it is because today the soup is as green as it will get. Tomorrow it will be slightly less green and the next day even less until the road to drab olive green can be spotted off in the distance. What I recommend to make this manageable, is either make three days worth and consume in three days, make it and freeze it right away in 1-2 portion sizes, or blend greens into your soup ‘a la minute’ or to order er, right before you eat it. This allows you to pull tired leek soup out of your freezer, heat it up and blend it with some green, and maybe a little parsley and basil to totally re-invent it. 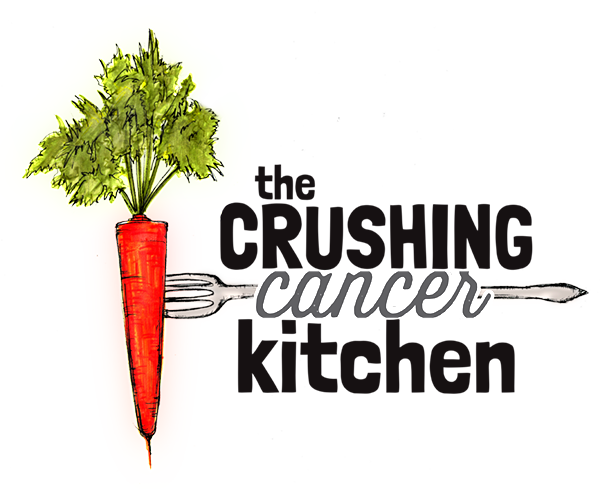 Spontaneous food morphing can save the ever-changing food palate. 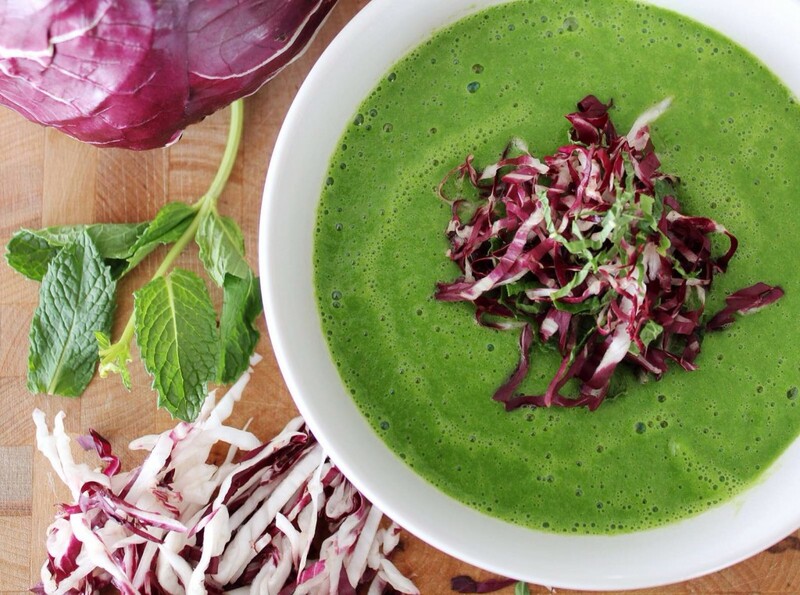 Drink out of a mug with some toasty chip pea croutons, or garnish it to look like spring time with some lemon-tossed radicchio, to balance out those sweet peas and add some new pigment/flavonoids to the party. Sweat Celery, Onion, Leek, Garlic and Thyme until hot tub-limp. 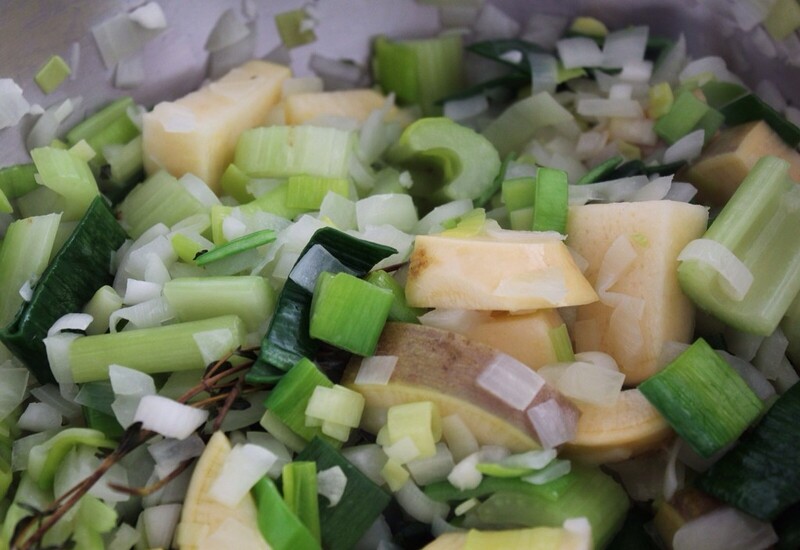 Add Rutabaga, Kombu and Stock or Water (there is a lot of veg in this soup, if you are not going to make your own stock, just add filtered water, it will still be flavourful). Lightly simmer for 15-20 minutes, or at least until the rutabaga is cooked through. Meanwhile, set up your blender, wash your greens and put them in the bottom of the blender. 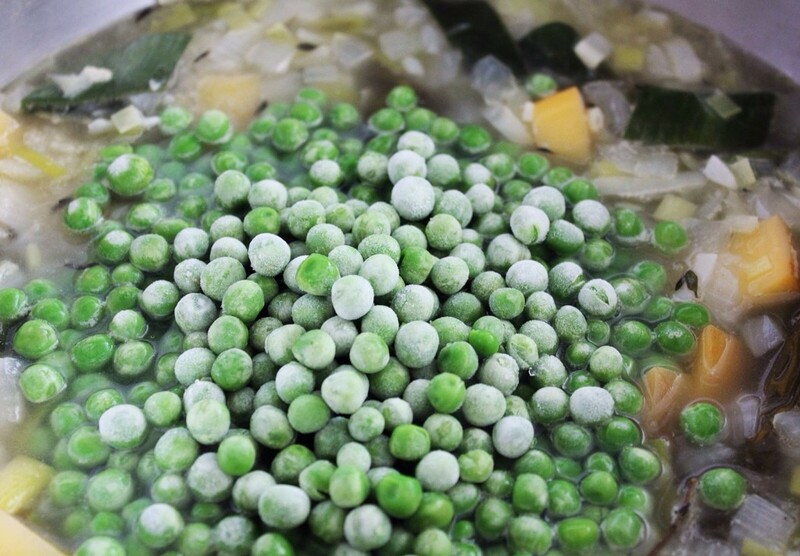 Turn off the heat, add peas into the soup and stir them around. -This where you would pause if you were making this in advance, and then chill it down in an ice bath and refrigerate. When you are ready to serve it, add it to the the greens in the blender (cold) and pour into a pot to heat up. This is the safer way. Otherwise -Ladle the soup over top of the greens in the blender until about halfway full. 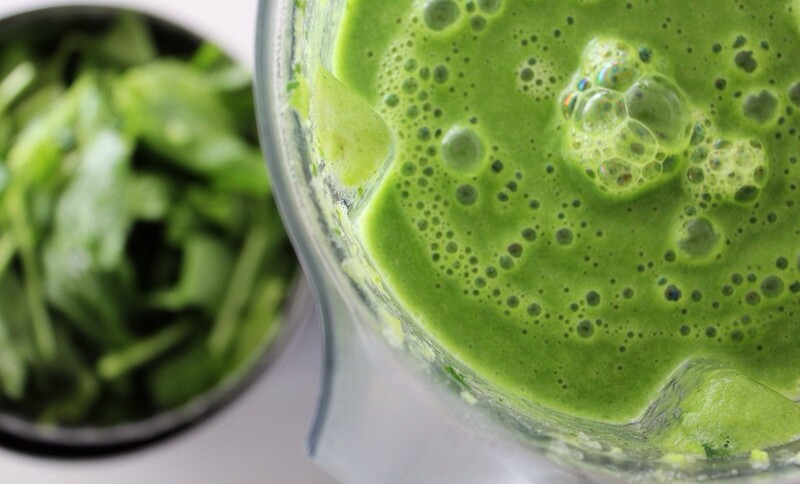 Blend until smooth, pour into a clean pot or bowl and continue with greens and soup until all is blended. 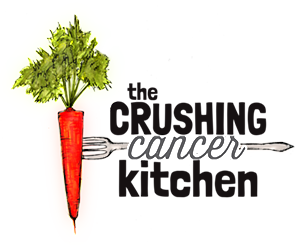 Adjust seasoning and listen to the song of the chlorophyll entering your blood stream, carrying oxygen everywhere it needs to go, terrifying every cancer cell it comes into contact with.